(Bozeman, Mont.) On January 12, 2014, at approximately 2:00 p.m.., the Gallatin County Sheriffs Office received a 911 call from a friend of two snowmobilers who were presumed lost in the Olson Creek area north of Bozeman. 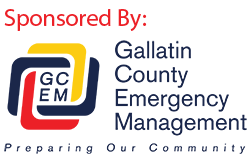 The Gallatin County Sheriff’s Search and Rescue responded to the area and searched without success until midnight. The search was suspended due to poor visibility during white-out conditions. Ground Personnel resumed the search during the early morning hours of January 13, 2014. The search team located the snowmobilers, two Bozeman men in their 20’s, walking in deep back country at approximately 10:35 a.m. The snowmobilers were checked by EMS personnel. Please contact Sheriff Gootkin for further updates.